Meet writer, cultural worker, and educator Juliana “Jewels” Smith. 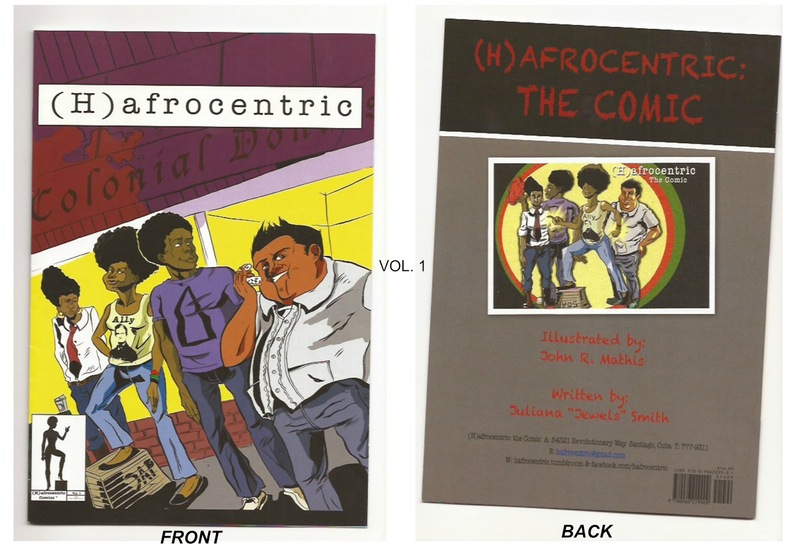 As an effort to connect with her students, Jewels created the comic book series, (H)afrocentric. 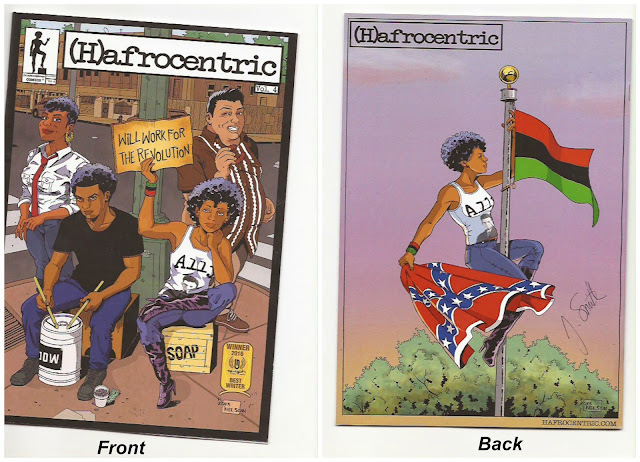 The entire series features four disgruntled undergrads of color and their adventures at Ronald Reagan University. "Before I knew anything about Ronald Regan, I knew he was racists," Jewels joked during her talk at the Drawing Lines - The Black American Experience. The event, which took place in early May, was held at The Great Hall at The Cooper Union in New York City. 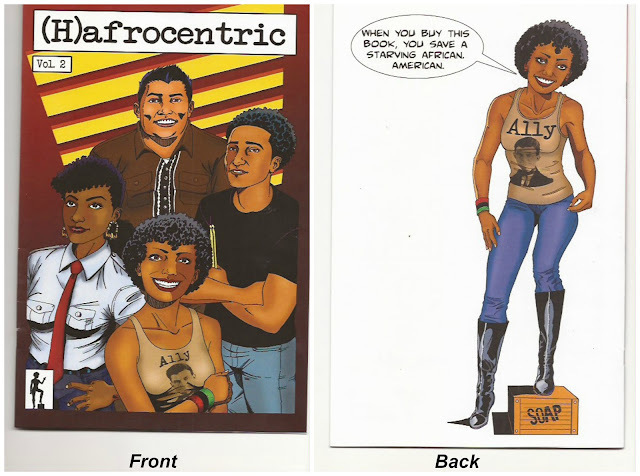 Jewels, who grew up in the 1980's, created (H)afrocentric as a way to challenge students and readers alike about the presumptions around race, class, gender and sexuality through character dialogue. Jewels published four volumes to date and in each issue, you'll find sprinkles of wokeness. "You're going to know who W.E.B Du Bois is," she explained. 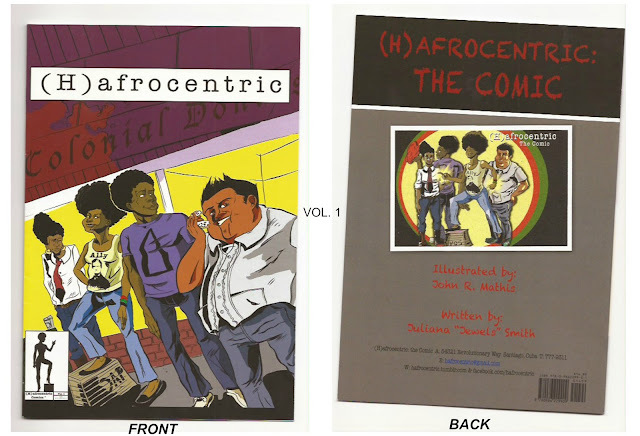 "(H)afrocentric is supposed to be a satire of what's going on right now." was really inspired by the adult animated sitcom The Boondocks," she shared. "If The Boondocks was feminist, it might look like this: Follow the self-proclaimed radical Black feminist, Naima Pepper as she deals with the contradictions of her own life." Naima's contradictions are biological based. Her mother is Caucasian, and her father is Black American. Some would say Naima is an extension of Jewels' persona since she too is bi-racial. 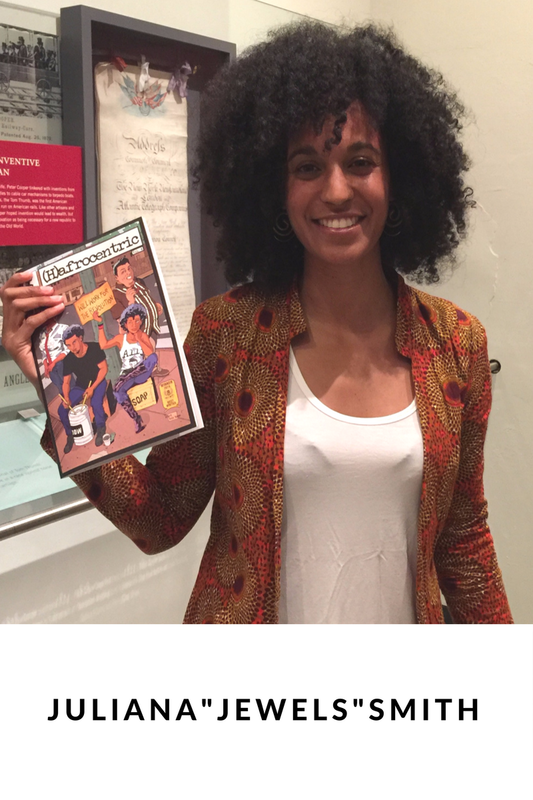 Naima is on a quest to follow in the footsteps of her role model Angela Davis. Naima, who is an avid reader, imagines herself giving speeches on political soapboxes all over the world. She studies social movements starting from the 1950s through 1970s. Miles is the brother of Naima. He is an apolitical drummer who reflects a popular culture aesthetic and mindset. His tendency to write off Naima’s rants about the world as being, “really bitter for someone from the suburbs,” causes daily sibling rivalry. Despite being born and raised on the West Coast, Kwame Forks is somewhat of a paradox. His outfit of choice; a Nefertiti necklace, white t-shirt and baggy jeans is just one part of his style that channels the afrocentric East Coast Hip Hop he grew up listening to. Kwame studies numerology, Kemetic history, and supreme mathematics despite being an Entomology major at Ronald Reagan University. On the first impression, Rahsaan Hayes seems like your average “Yes Man” or “Yeah bruh” as he would say, but he is not. An aspiring tea sommelier, Wing Chun practitioner, lover of wave caps and girls, Rahsaan is complicated. Along with his best friend Kwame, he tries to navigate through Ronald Reagan University without accumulating too much debt or a police record. El is best friends with Miles. He is second generation Mexican-American. While not directly involved in political activism, he still has a yearning for his own culture to be represented with more dignity and honor. Although his identity politics are strong, his inability to be more critical about the world around him places him in sticky situations. As a way to keep the comic book relevant in the digital age, Jewels included a QR code mixtape for Vol. 3 and 4, which can be scanned in the back of each book. Jewels is in the process of compiling a mixtape for Vol.1 and 2, which will be released in a second edition. For those of you who have the first edition of Vol. 1 and 2, take care of them because they just might be a collector's item some day. To keep up with what's going on with the (H)afrocentric crew at Ronald Regan University follow them on the following social media platforms. And if you'd like to purchase any vol. 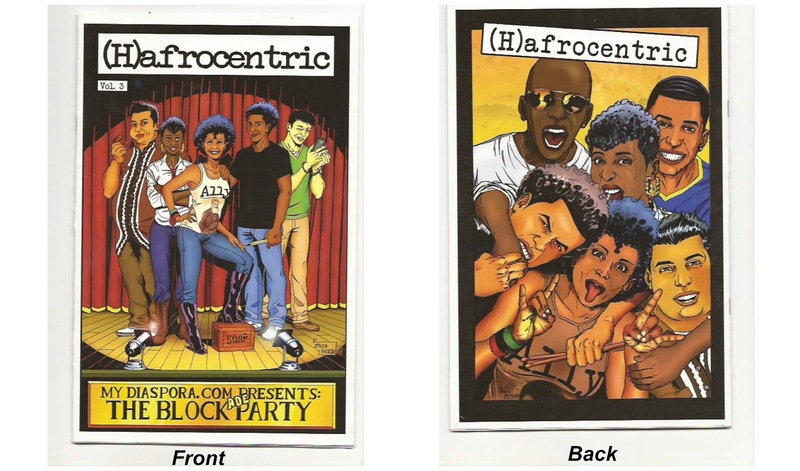 of (H)afrocentric, like I did, please visit the online store at hafrocentric.com. When you do, feel free to leave a comment in the box below to share your thoughts. Juliana Jewels Smith earned her B.A. in Sociology from UC Riverside and M.A. in Ethnic Studies at UC San Diego.